Currently, there are four categories within our directories: Bloodstock Agents, Farms/Breeders, Partnership Managers, and Trainers. Partnerships are a wonderful way to experience the thrill and fun of racing while splitting the costs among partnership members. 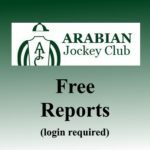 Below you will find a list of dynamic, seasoned Arabian racing experts who offer racing partnerships. Partnership managers mange all aspects of race horse ownership… choosing horses, choosing trainers, choosing races, managing finances, licensing owners, offering social events for its partnership managers, and being available to mentor partnership members who are new to racing. Read their bios. Choose your favorite. And contact them today for current partnerships available! I am first and foremost a lifelong horsewoman. My first experience in Arabian racing was in 1979, when as the horse manager for a large Colorado cattle ranch, I was asked to manage the race career of an Arabian filly on the Western circuit. This is where I first met Dr Sam Harrison. In 1982 I founded Odyssey Arabians with my sister, Marge Burnett in Northern California. We were small breeders of show horses originally and by 1986 exclusively racehorses. We raced in California first 2 years, and then branched out in 1988 to race in Tampa, Florida and at Delaware Park. We received our first Darley nomination in 1989 with our gelding, Negask, and went on to receive 3 more Darley nominations with our homebreds, but our biggest honor was when our last homebred, Sudden Mischief, was named Darley Older Horse champion. I founded Race Street Management Inc in 1987 with (my soon-to-be husband at the time), Randy Gault. Services include: consulting, management, sales, acquisitions, marketing, and appraisals. We have successfully syndicated many great horses, including Shawna Dew (named 1986 IAHA National Champion race mare, and 1987 and 1988 Darley Champion Older Mare) and national Champion racehorse and champion sire, By Golly, later sold to Mickey and Michelle Morgan. We have put together and managed numerous partnerships over the years. We’ve managed careers of many great racehorses, including Darley Champions Oh By Gosh, Southern Storm, and FMR Hadassah, Horse of the Year and Hall of Fame. We first visited UAE and Qatar in 1992 and have been traveling there ever since, instrumental in helping development of breeding and racing programs in both countries, supplying them with foundation bloodstock. In private sales, Race Street has sold over 750 horses including significant herd sales and dispersals including the Lucas Arabian Stud, Colonial Ridge, Trackside Farm, and Darley Stud US herd. Many international stakes winners and producers were sold or acquired through Race Street. Since 2002, Race Street has served as Shadwell’s US Arabian representative, managing and promoting their stallions here in the U.S including Chndaka, Kaolino, Falina Des Fabries, Nivour de Cardonne, Madjani, Al Saoudi, and No Risk Al Maury. Also other stallion managed. In late 1980’s to early 1990’s, served as Vice Chairman and Secretary of the Arabian Racing Association of California. I met Dr Ed Allred, who invited Arabians to race at Los Alamitos Race Course in Los Angeles. He set up an Arabian futurity, which I’m proud to take credit in naming: Drinkers of the Wind and Daughters of the Desert. They became the top Juvenile races in the world, both Grade 1’s and the highest purse in the US when one year the Drinkers topped $180,000. I served on the original Arabian Jockey Club Executive Committee (and various off shoots); was a foundation committee member of the Graded Stakes committee; was a foundation committee member of the Racing Hall of Fame and Tent of Honor, and later served as Chairman; was appointed to the Arabian Racing Cup Board of Stewards in 2004, and currently serving as Chief Steward. At the 2015 Darley Awards in Hollywood, I was immensely grateful to have received the HH Sheikha Fatima Bint Mubarak Lifetime Achievement Darley Award. As you can see, I’m “all in” to racing. It has given Randy and I a lifetime of enjoyment, excitement, worldwide travels, and a community of great people. I look forward to sharing that experience through racing partnerships as well.